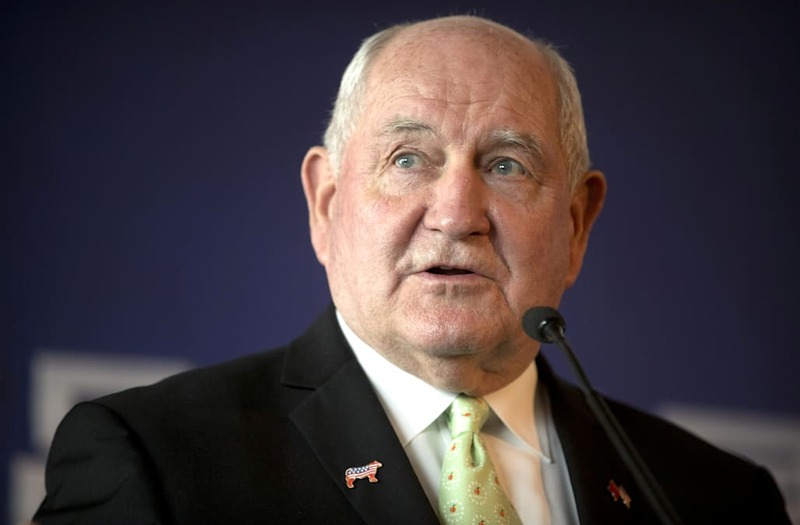 U.S. Secretary of Agriculture Sonny Perdue was tapped to be the designated survivor during President Donald Trump's State of the Union on Tuesday night, continuing a cautionary tradition that stems from the Cold War. Perdue will watch Trump deliver his first State of the Union before Congress and the nation from a secret location in case there is an attack on the U.S. Capitol during the speech that leaves the president and any members of his Cabinet incapacitated. Department of Veterans Affairs Secretary David Shulkin was selected to serve as the designated survivor during Trump's joint address to Congress last year. Perdue served governor of Georgia between 2003 and 2011 before President Trump appointed him to his current Cabinet position. U.S. record of designated survivors dates back to at least the 1980's. Historians detail that in order to be chosen, a person must already fall in the line of succession and meet the criteria required to run for office.